School not in session? Fill your time with STEM! Researchers with the Oregon State University GEMM Lab have been conducting research in Port Orford annually to understand the foraging ecology of gray whales. 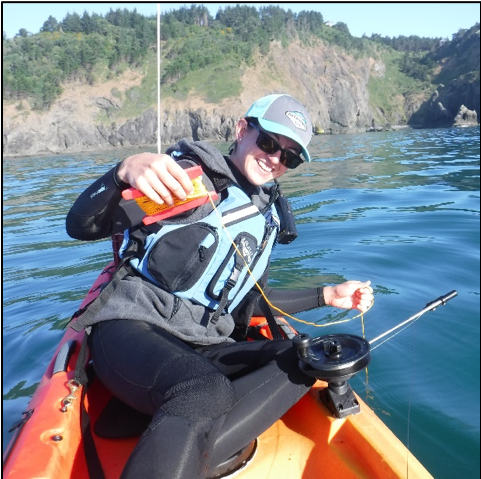 Once again, the team is seeking applications from Port Orfrod area high school students who are interested in working alongside researchers on the project for a six week period this summer (July 22 - Aug 30. 2019). Applicants should be in grade 11 or 12 and committed to the entire 6 week internship period. Stipend included. For more information about this opportunity, download the position description and application. Applications are due by May 3, 2019.